So you are a Linux user and looking for the Most Secure Linux Distro to be secured and to make strong privacy for your operating system? Here are the Top 15 Most Secure Linux Distros for Privacy and Security Concern Linux Users. Before we get started, let’s talk about why Linux Distro is too important to avoid? 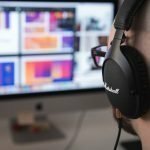 Okay, you may already know that the Operating System is the core software which allows you to communicate with the hardware and software of your computer. It manages all the hardware and makes contact with the processor and memory. If you are using your pc without being secured enough, then it will be easy for the hackers to access into your operating system and that can allow them to exploit the operating system, to see the files and even the location from where you have been on the internet. In this situation, Linux distros provide a lot of choices to select a list of best and most secure Linux distros for your system. The number of Linux users is increasing immensely day by day. Their specialty is that they are less common than the other operating systems out there. And still, they are working to be more technical in the upcoming days. Here is the list of the Most Secure Linux Distros which are ’Specially Focused on Linux security.’ That means this article is done especially by focusing on Sharp Security that a Linux user is more concern about. 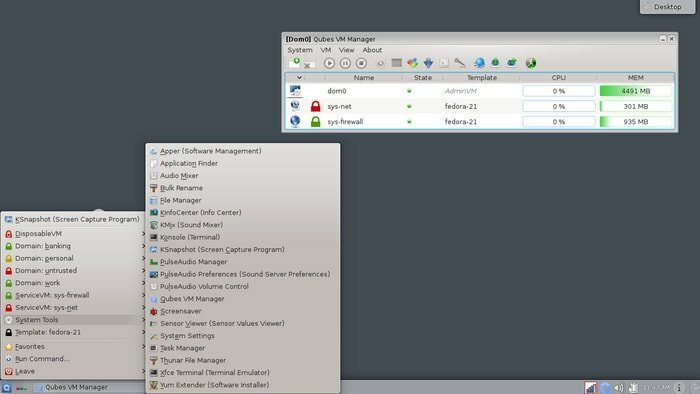 If you are looking for the most secure Linux distro for your desktop here Qubes comes up at the top. Why am I saying that? 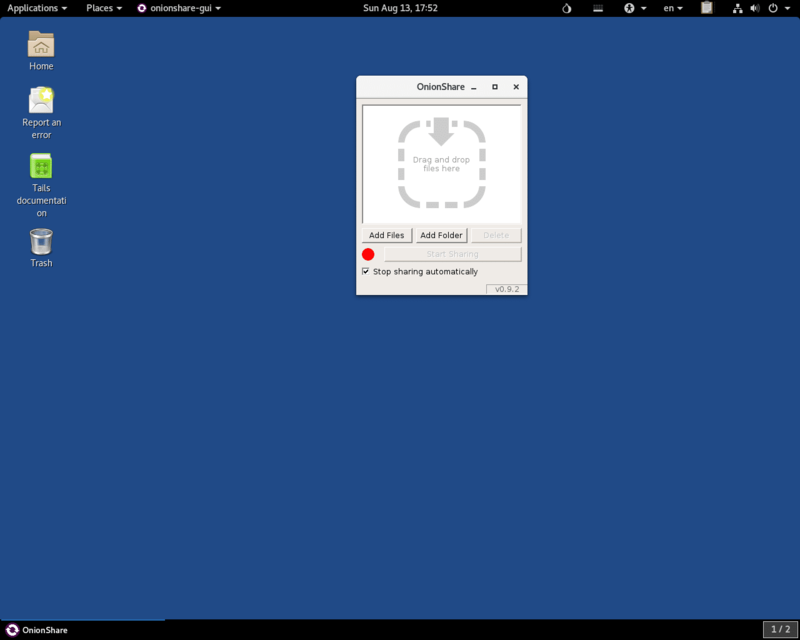 Well, Qubes is a Fedora-based operating system which focused on desktop security. This OS will secure you by isolating and virtualizing various VM separately. Suppose you have downloaded a malicious software without realizing instantly what the software is? Or you don’t know whether is it safe or not. Don’t worry, here Qubes OS plays its role. Qubes isolate your other personal files from the malware without being affected. It’s cool, isn’t it? Note that: This OS is best for the advanced users. So if you are new, then it will be a bit tough for you to manage this system. Tails is one of the best most Secure Linux Distros out there after Parrot Security OS. Tails first released in 2009. This Operating System developed especially targeting on personal computers. If you are looking for an OS which will keep you safe while browsing the internet, then Tails will take the first place. It’s a live CD and a pre-installed Operating System with the Tor browser bundle using the onion circuit. Since all the outgoing connection goes through the Tor so it allows you to use the internet anonymously and whatever you do it never leaves any trace behind. Tails OS doesn’t use any space of hard disk rather it only uses the required space in your RAM, but it will be erased automatically when you shut down your system. It can be used as a live DVD or live USB. It will be more convenient to boot from USB stick rather a DVD. However, there are some issues with this OS. Recently most of the users are claiming that Tails requires 2 USB stick while installing which is boring. Parrot Security OS is developed by FrozenBox and released in 2013. 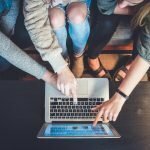 This software is a game changer when it comes about security & privacy concern of a Computer’s Operating System. 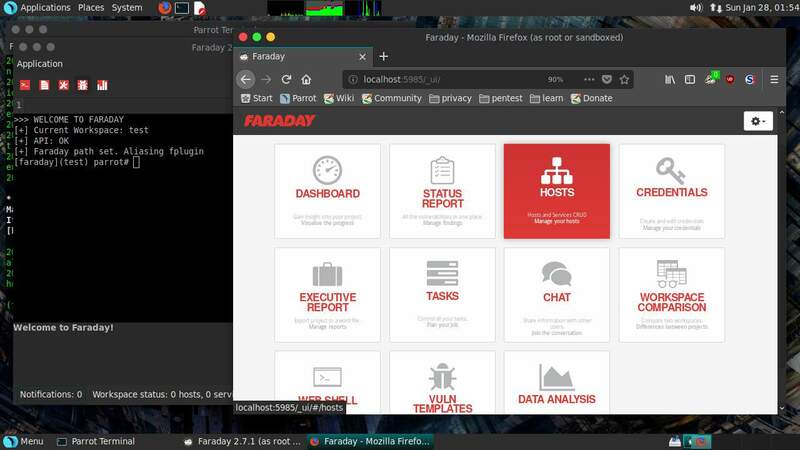 Parrot Security OS is specially designed to test an authorized simulated attack on your computer system which helps to assess the vulnerabilities of your system whether it is strong enough or not. It comes with a full portable laboratory which protects your system from any unwanted disease while working on the internet, browsing anything and playing a game, etc. Again if you are a forensic expert, then this operating system is the best, and nothing can go beyond this. 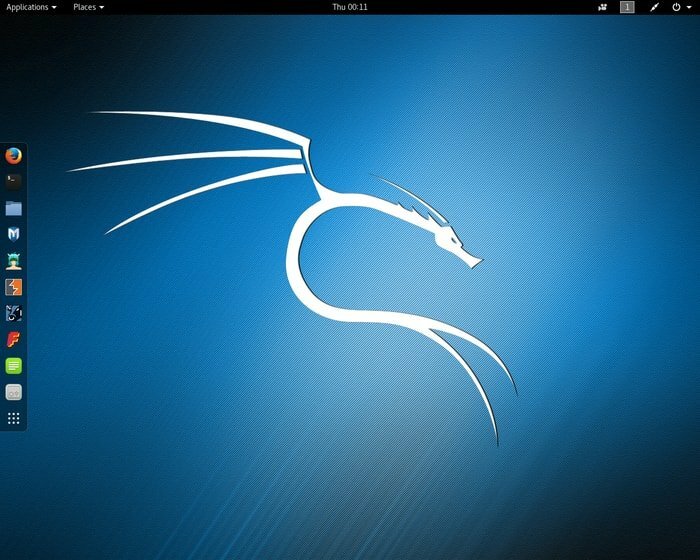 Kali Linux is a pre-installed Debian derived Linux distro, which is developed especially focusing on Pen Testing and Forensic Experts. 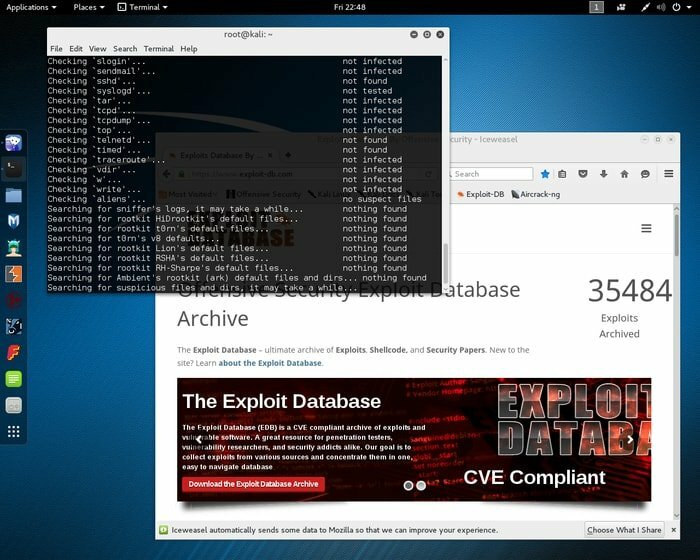 Kali comes along with a package of tools such as-Aircrack-ng, Ettercap, Foremost, Wireshark, Kismet, Maltigo and many others which helps you in many ways like exploiting a victim network or application, performing network discovery, or surveying a target IP address. 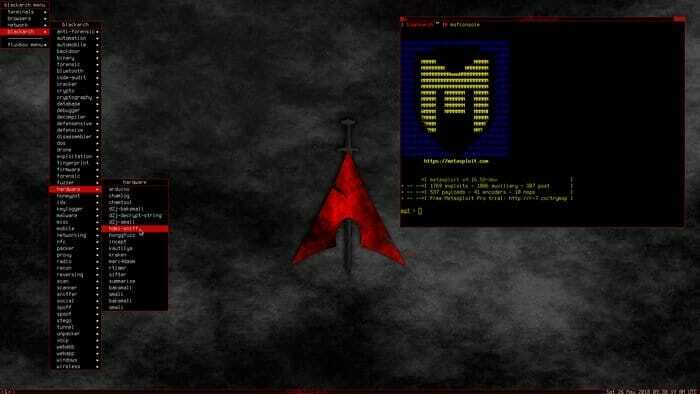 Not only that Kali includes a graphical cyber attacking tool name Armitage which allows you to lunch and exploits, get exploits recommendation and advanced features of the Metasploit Framework’s meterpreter. Kali Linux has considered one of top-ranked most secure Linux distros out there for developers. Like Tails, this OS also can be booted as a live DVD or USB stick, and it is easy to use than the others OS available out there. Whether you run 32 or 62 operating systems, Kali Linux can be used on both. This OS requires minimum 512mb RAM & 10GB hard disk space to be installed. If you want to private your IP address then Whonix is perfect one you can have. 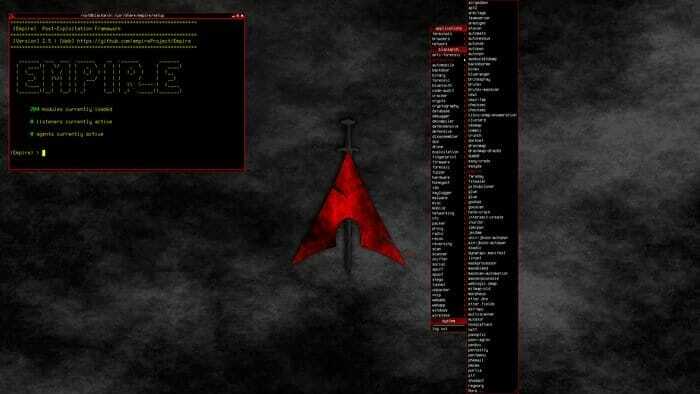 Whonix is a Debian based operating system that focused specifically on anonymity privacy and security. Whonix provides security by isolation. It’s an operating system which uses explicitly the principle of isolation to enable the security, privacy, and anonymity. 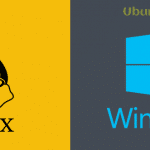 This operating system is developed by two major programs. One is a workstation, and the other one is Gateway. The gateway acts as a middleman here, and it forces all the connection to go through Tor network. So there is no opportunity for the IP address to be leaked and this is how the Whonix OS keeps you secured. Maybe you are trying to keep your data safe and yet to find out any better security distro for your Linux Operating System. Let your scare fly away. Here you have Discreete Linux OS called one of the most secure Linux distros to protect your valuable data. This OS doesn’t make any connection with the internet while working which separates the Data & cryptographic keys to be protected from the non-trusted network. Another exciting thing is that this OS is a pure live system so you don’t need to install it on your computer rather you can quickly run it with a USB stick. Do you love to stay fully anonymous while surfing the internet? 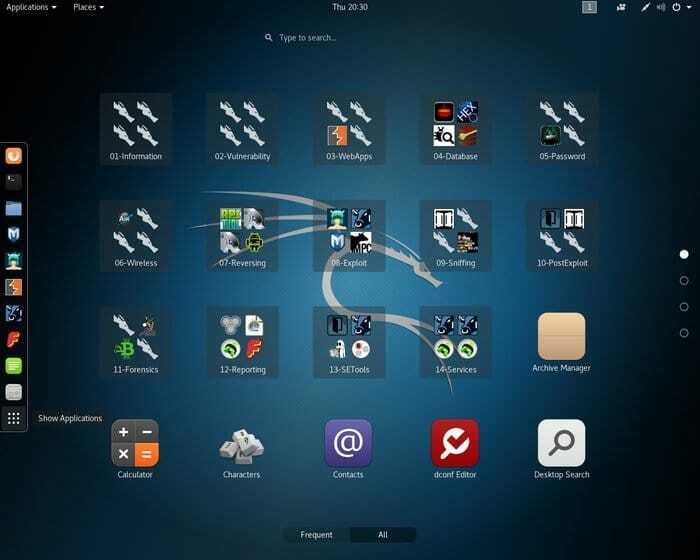 Then Kodachi Linux is one of the best most secure Linux distros that you would love to have. Many users are saying that this is the most secure Linux distro that they have ever had. Personally, I have never tested though. 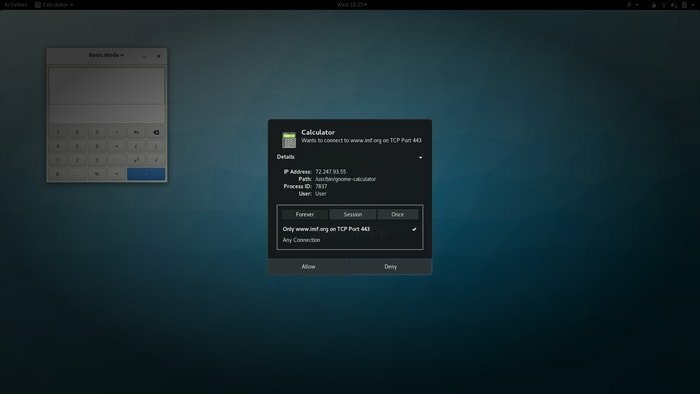 This Operating System comes with Tor, a VPN, and DNSCrypt and can be booted easily from a DVD or USB drive. You can choose the exit routes country whenever you surf the internet. This operating contains many other useful application like Pidgin internet messenger, Transmission, VirtualBox, Geany, FileZilla and many more. Finally, I must say, this Operating System comes with everything that a user needs to be secured. 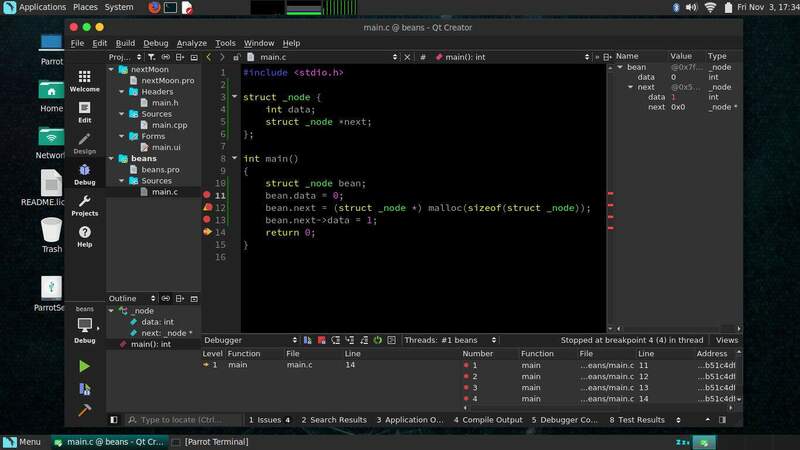 BlackArck Linux is a new Linux security distro which is designed especially focusing on Pen Testing and Security research. It comes up with a vast number of tools that is twice even thrice as more as Kali Linux has. This is straight Out Of The Box, right? They can be installed separately or if you want you can install in a group as well. This operating system is straightforward to use. This OS is lightweight enough so you can run it in any hardware. 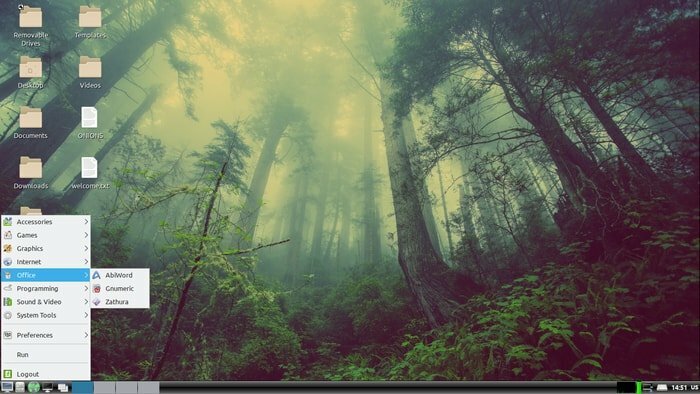 Heads is a GNU/Linux based free security distro. This OS is significantly smaller than the other OS out there and pretty easier to manage. Heads use only free software that means this OS gives more value on users freedom and community. Like the other OS above Heads also uses Tor so that you can be anonymized while surfing online. All of your traffics are enforced to go through Tor by default, but they give the option to make it stop if you want. Heads always give priority to their users. 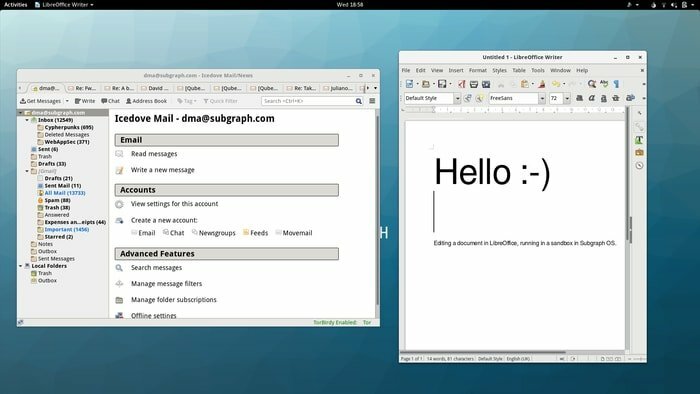 Like Tails, Subgraph Operating system is also a Debian based operating system which prevents the surveillance and interference by sophisticated adversaries from the Internet. This OS is designed for everyone. Its GNOME-based desktop environment is incredibly user-friendly. While talking about security & privacy, this security distro prevents the attack through intelligent access control; memory corruption-based exploit prevention with a package of patchset (grsecurity patchset and Pax). Grsecurity patchset provides a package of security such as addressing space protection, enhanced auditing, and process control. This security distro is good to use to browse the web, emailing, chat and sharing any files through the internet anonymously. All of the connections are routed to go through I2P software. Unlike some other distro out there, IprediaOS supports TORRENTS. This Operating System is competitively fast then Tor even you are going to use it on your older computer this OS will work well on that as well. If you are looking for a user-friendly security distro that will allow you the freedom to modify it. Then PureOS is that one. PureOS is a free software which delivers a security package including “Duck Duck Go” search engine. It will protect your privacy by avoiding the personal search results. As it’s free software so you can download it without purchasing anything. You can ask for its source code even you are allowed to modify it as well. 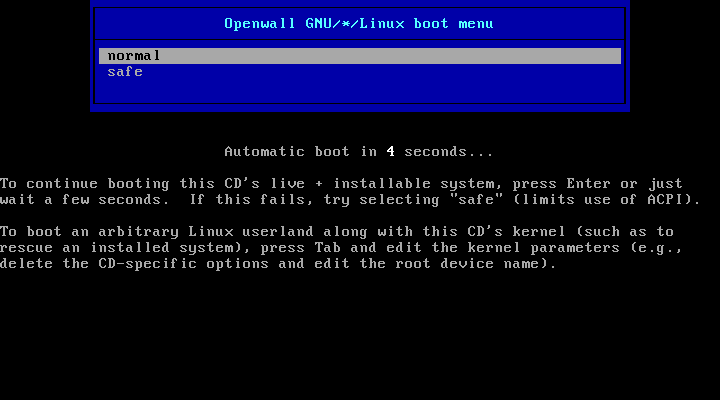 Openwall is a security-enhanced Linux distro based operating system which is specially designed for servers and Applications. Openwall provides security by reducing the flaws in its software components with the Openwall patch (Best known as a (non-exec stack patch). It’s a free intended server platform. Alpine Linux is a mus libc, and BusyBox based most secure Linux distro. It is so lightweight that you can ever think. The size of its base system is around 5 MB which is smaller than the other systems available out there. And this is why this Linux distro is that much popular. Its another component BusyBox includes a lot of tools, and very few of them are bunzip2,bzip2, less, lzma, unlzma, vi, wget. Those tools are in an Alpine base image that is not in Debian base image. It’s application manager APK is way faster than other and very easy to use. If you love to serve on various machines and update machines without any downtime then Container Linux (Formerly CoreOS) will be your go-to Linux distro. 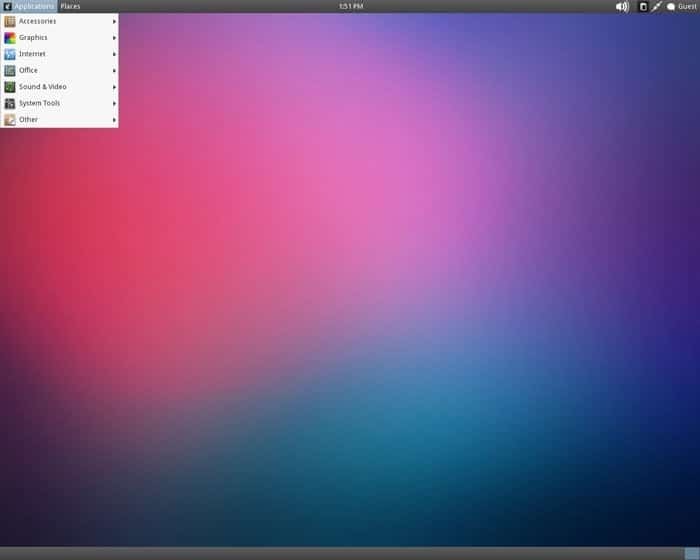 Container Linux is a lightweight Linux Distro which is designed for clusters and server. This security distro is getting popular nowadays because it’s easy to deploy, manage and run containers. In earlier CoreOS supported only Dockers platform but recently it supports rkt (Rocket) as an alternative of Docker. This software updates automatically when they need to be updated which improves security. Here I have reviewed the 15 Most Secure Linux Distros available out there, some of which I have tested personally and the rest I have ranked by exploring the best features from their website, researching on the internet, gathering reviews from the users. So I hope you will find this article helpful in choosing the best one for yourself. If it does so, then please share it on your social media, with your friends and family who are also trying to have the best one for themselves. And also don’t forget to leave your valuable suggestion in the comment box. Subgraph OS deserves #1 easy to install and safe. Qubes is a great contender. rest is not even in the same league. But although not mentioned openSUSE Tumbleweed can be set up easy and secure too. 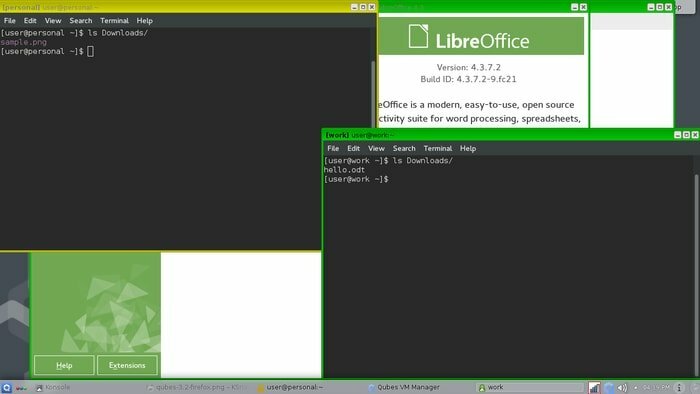 For most starting Linux users concerned about security openSUSE Tumbleweed is already a leap forward and very easy to handle (especially when the user comes from a windows environment). Have downloaded and burned to cd/dvd – numbers 2,4,6,8,9,11 and found some are old outdated versions,Firefox is like version 49-57,or if FF ESR or Quantum is still outdated.Tails and Heads are okay as Live CDs,didn’t have user name and password for BlackArch, and when I finally got it, it wouldn’t run or install to HDD,subgraph said no hardware detected and no network card seen, so no Internet access, Ipredia OS was either old as or it was only 64 bit able,Subgraph OS and Discreet OS just didn’t run, install, or no hardware detected so no network card seen, so no Internet access. Kodachi – the most secure,has full protection , a free VPN … But if you go and look at the wrong website or download something from a torrent site, they may van you from their network,therefore pulling the plug on your free VPN protection, IP address hiding.Only indication is flashing red “You’ve been banned from our network” warning,no reason told you unless you contact the provider by email. Will try Parrot OS, but think I have before, and it was okay. Qubes looks good, but i couldn’t be bothered setting up the gateway then the workstation. Open OS firewall ran, but thats all.My try Pure and Alpine and see if they’re good. Kali Linux is actually one of the LEAST secure distros, since every session gives you root privileges without a password. This means that it’s easier to execute commands quickly, but it also poses a major security risk. 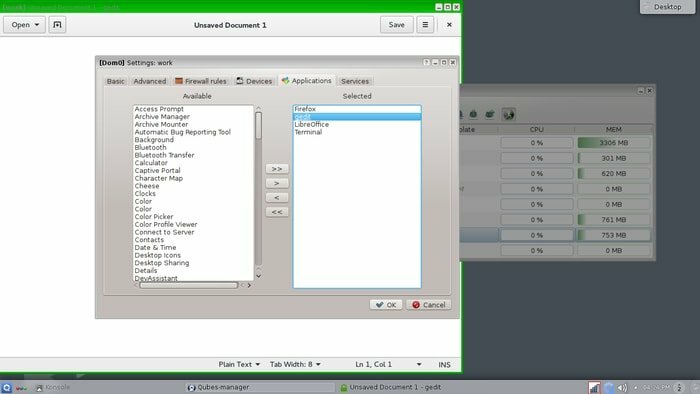 Kali is specifically designed to attack OTHER computers to test them for security flaws. 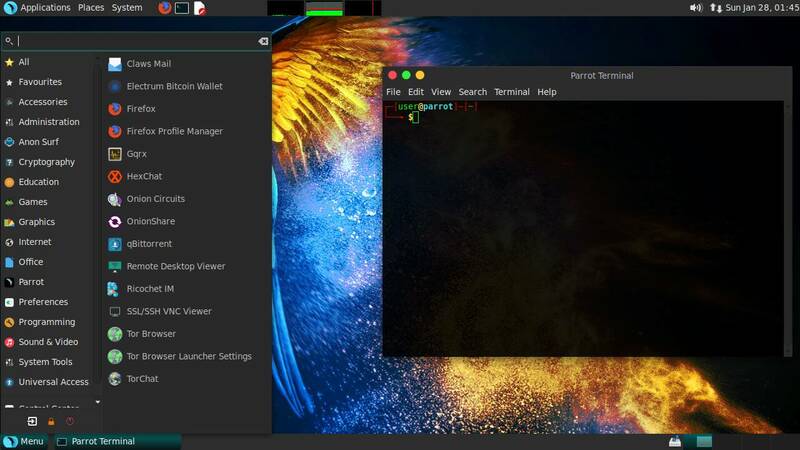 If you want a good pen-testing distro that you also want to use as your main distro, consider Parrot Security. Kali is actually backdoor OS and completely opposite thing from security. Linux Kodachi would have been on the top if you have tested it I use to use tails but since I found Kodachi I say its the best when it comes to privacy and anonymity no one can beat it period. WOW! A lot to learn. I just bought a book, about Ubuntu. I am looking for high security, in all areas. I am a researcher, Investor, and I do some writing on a small scale and still learning to type, HA HA! I was a diesel Tec and an Instructor. Thank You, so very much!! You forgot the most secure of them all, Gentoo. Compiling executables from source and removing support for things that you do not need,extra languages, whittle out the kernel as only you need it, the list is quite extensive for it. That means a lot less for a hacker to utilize to get into your system. That and it has incremental updates. So you’re always at the latest but fixes and features. Sad that this one did not get mentioned. It would truly be at the top of them all. Gentoo more secure than Qube OS? Oh please.